If you can’t get your teen to go to bed, you’re not alone. American teens sleep less now than they did twenty years ago, according to a study published in the medical journal Pediatrics. This large study looked at more than 250,000 teens between 1991-2012, and the results are eye-opening. As our children move through adolescence they sleep less and less. In the past twenty years there has been an overall decline in adolescent sleep. More than half of teen ages 15 and older sleep less than seven hours per night, and about 85% of teens get less than the recommended 8-10 hours of sleep per night. Age 14-15 seems to be a big turning point for sleep deprivation, a year when teens experience the greatest drop in hours of sleep per night. “Overall, across 20 years and all age groups, 12 to 19, there has been a downward shift in the proportion of adolescents getting seven or more hours of sleep,” says Katherine Keyes, co-author of the study. This study was published just after the National Sleep Foundation released new aged-based recommendations for hours of sleep per night. Teens aged 14-17 need 8-10 hours of sleep per night, according to the new recommendations. Previously, it was thought that teens aged 14-17 needed 8.5-9.5 hours of sleep per night. In other words, your teen probably needs at least 1-3 more hours of sleep per night than he’s currently getting. But most teens don’t want to go to bed, and that’s normal. During adolescence, biological sleep cycles shift so that it’s natural to want to go to bed later and wake up later. So it’s natural for a teen to have trouble going to sleep before 10 or 11pm, and then need to sleep in until 8 or 9 am. Their middle-aged parents also go to bed around 10 or 11 but need less sleep and hence don’t have trouble waking up earlier. And hence we have a set-up for the classic problem– teens and parents both go to bed around 10 or 11 pm, parents wake up for work but teens don’t want to wake up for school. Your teens aren’t lazy, obstinate, or difficult: They just need more sleep. A lot of teens think they get enough sleep even when they don’t. This research showed a mismatch between perceptions of adequate sleep and actual reported sleep times. Females, racial/ethnic minorities, and adolescents of low socio-economic status were the most likely to think they were getting enough sleep yet report an inadequate number of hours of sleep. Sleep is essential for both physical and psychological health, as well as academic performance. “The road to academic success is paved with sleep,” according to Dr. James Kemp, the director of our sleep center at St. Louis Children’s Hospital. Sleep helps kids do well in school, improves social functioning, prevents illness and injuries, and may even prevent obesity. Sleep deprivation is strongly associated with adolescent depression and anxiety. 1) Advocate for later school start times: Based on extensive research, the American Academy of Pediatrics recommends that middle and high schools should start at 8:30 am or later. Later school starting times is a cost-effective approach to improving academic performance, and has even been shown to increase lifetime future earnings. Read more about this topic in the AAP’s policy statement on school start times. 2) Talk to your child about sleep: Lots of teens don’t realize they aren’t getting enough sleep and don’t recognize the importance of sleep for health. Your teen may just need some education on the subject. Not sure how to start the conversation? Show them this article as a starting point. 3) Leverage the natural power of melatonin: Melatonin is a natural hormone made by your brain that triggers that sleepy, I-can’t-keep-my-eyes-open feeling. Light exposure reduces melatonin production, including blue light from LED screens. Dim lights and pull shades to darken your home at least 30 minutes before your child’s bedtime. The darkness will trigger a surge of melatonin that will make bedtime much easier. Melatonin supplements are available over-the-counter at most pharmacies. I do not recommend regular melatonin use in children or adolescents, but there are some situations where short-term melatonin use may help kids get back on a sleep schedule. Do not give your child melatonin without first discussing it with your pediatrician. 4) Rule out medical conditions that can impair sleep: Sleep apnea, narcolepsy, depression and anxiety are just a few of the medical conditions that can impair sleep and have very negative effects on life experience. Narcolepsy often presents in adolescence and can be misdiagnosed as depression or even laziness. At St. Louis Children’s Hospital, we provide comprehensive sleep evaluation and treatment through our sleep center. 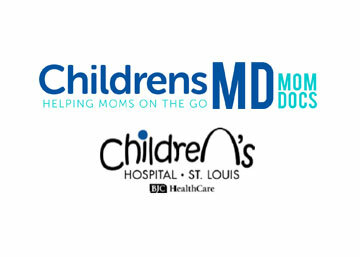 To learn more about our sleep center or make an appointment, click here or call 314-454-KIDS. Our brochure, “A Parent’s Guide to Sleep Disorders,” can provide more information about sleep disorders including sleep apnea and narcolepsy. 5) Help your child write out and live by an evening and bedtime schedule: The trick to getting to bed on time is an evening and bedtime schedule. If you child still has chores or homework to do, chances are you will let her stay up to finish. Most teens only have about 4 hours each day at home before bedtime. This time is valuable. Have a schedule for homework, paid work, extra-curriculars, practicing, bathing, and unstructured free time. Encourage your child to stick to a regular bedtime routine, just as when they were younger. 6) Set a bedtime for your screens, too: Screen time before bed prolongs “sleep latency,” or the time it takes to fall asleep. So your screens need a bedtime, too, at least ninety minutes before your child’s bedtime (I prefer two hours). Set an alarm on your phone or tablet for your screen’s “bedtime.” Choose a unique alarm sound, like a barking dog, so that when the dog barks the kids know it’s time for the screen to go to bed. Then pick a common spot to charge up your screens overnight– we use a basket on the kitchen counter. This makes it easier for you, as a parent, to check that all screens are off and out of kids’ bedrooms at least 90 minutes before bedtime. 7) Exercise: What is your child’s primary form of exercise during the school year? Exercise helps kids sleep well, and sleep improves athletic performance. Avoid exercise in the 2 hour window before bed. 8) Get rid of chemical stimulants: Caffeine, energy drinks, chocolate, and nicotine interfere with sleep. When you’re trying to get your teen on a sleep schedule, it’s best to get rid of all of it. Some “health” and energy drinks contain elusive amounts of caffeine, so be careful as to what your children are drinking and read labels. 9) Refill your medications: ADHD medications, antidepressants, and other common pediatric drugs can alter sleep. Be sure your child is taking their prescription at the right time of day and isn’t missing doses. Are you tired? Here’s what sleep deprivation does to parents. We’ve also put together tricks to keep toddlers in bed and help infants sleep through the night.